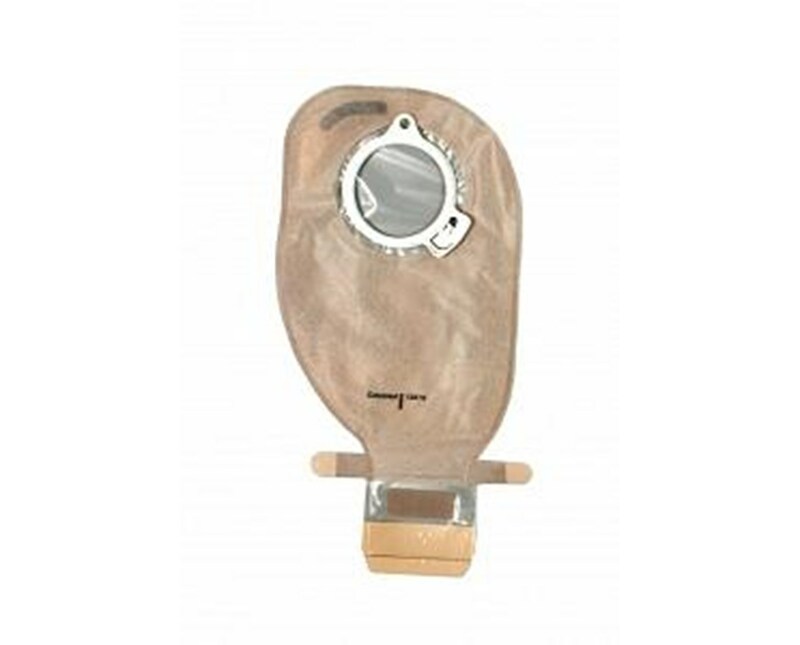 Select Size 13974: 1/2"-1 9/16" 13975: 1/2"-2" 13976: 1/2"-2 3/8"
The Assura EasiClose Drainable Two Piece Pouch is easy to use and comfortable against the skin. The spiral structure adhesive provides optimal adhesion and superior skin protection. The Assura two-piece system offers a secure lock ring coupling. A click signals when thepouch is correctly locked to the barrier and is securely in place. This is done without applying pressure to the abdomen. The lock ring can be turned to the most convenient position for locking. The Assura pouches are made of a noise reducing and odor proof film. The back of the pouch, resting against the skin, features a lining made of extra soft material for comfort and added protection against skin irritation.This model features an integrated filter, which allows air to escape, minimizing ballooning of the bag. The filter is covered by a semi-permeable membrane, which allows air to pass, but not moisture. The membrane itself is covered by a net that allows air and moisture to pass, but not stool. These two barriers around the active filter component provide double protection. Purchase the Two Piece Assura EasiClose Pouch right here online, select from the drop down above, and press addto cart! 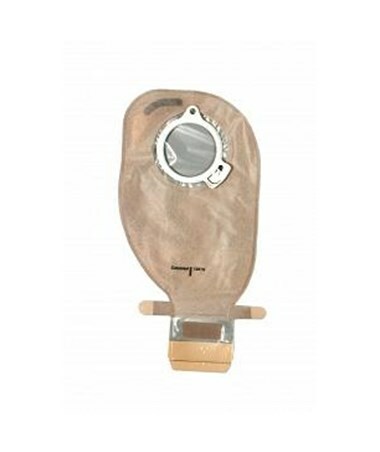 Integrated filter, which allows air to escape, minimizing ballooning of the bag. The filter is covered by a semi-permeable membrane, which allows air to pass, but not moisture. Opening Size Cut-to-fit: 1/2"-1 9/16", 1/2"-2", 1/2"-2 3/8"